When people deal with color, class or culture in a negative way, that's racism. But the answer is not to ignore these as if they don't matter. Instead, we can look at color, class and culture in a positive way. That's gracism. Pastor David Anderson responds to prejudice and injustice with the principle of gracism: radical inclusion for the marginalized and excluded. Building on the apostle Paul's exhortations in 1 Corinthians 12 to honor the weaker member, Anderson presents a biblical model for showing special grace to others on the basis of ethnicity, class or other social distinction. He offers seven sayings of the gracist with practical examples for building bridges and including others. A Christian alternative to secular models of affirmative action or colorblindness, gracism is an opportunity to extend God's grace to people of all backgrounds. "After reading this book, I am convinced: we need gracism. Division and inequality are consequences of our fallen world. But as the members of the church we must walk against division and injustice. The brilliance of this book is that we are shown how to overcome individual-level racism, clearly and plainly. Dr. Anderson provides us with real tools for real life. Gracism is an act, a state of being. Members of the body, let's be gracists." 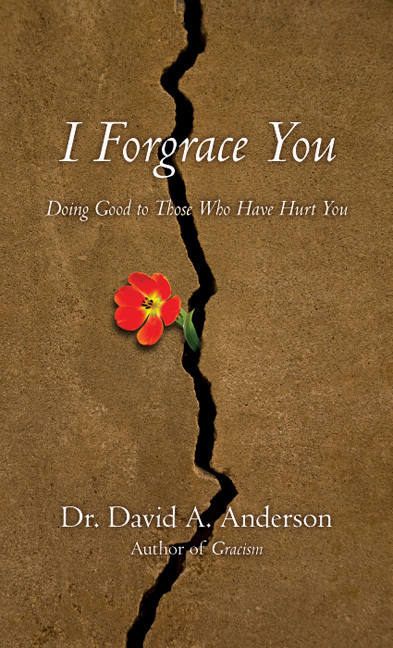 "Dr. David Anderson is one of the finest reconciliation practitioners that I know. 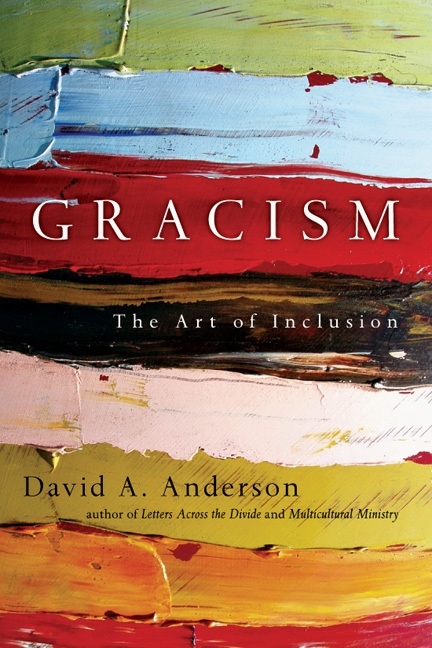 In this book, Gracism: The Art of Inclusion, he honestly shares his journey into a profound concept that has the potential to revolutionize how we confront racism to create a society with liberty and justice for all." 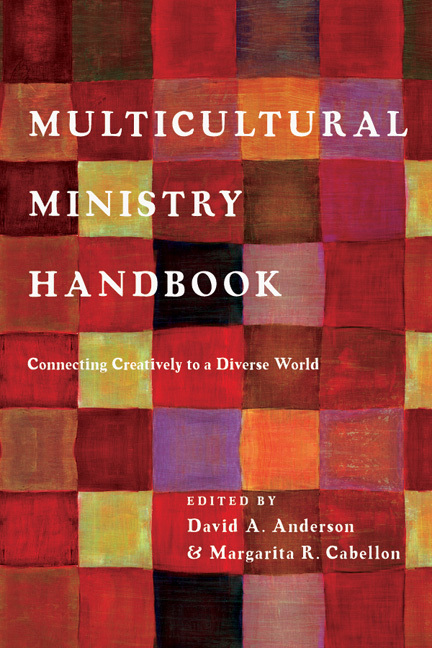 "David Anderson speaks, lives and is called to the truth of multicultural relationships and ministry. This book is not a book just for black people to work with whites or whites to learn how to be sensitive to blacks, but a book about God's practical, real transforming grace for all people to be kingdom people." "David Anderson addresses one of the real solutions to the issue of racism with this difficult practice of grace! David's take from an African American perspective enlightens us to how deep racism runs even in Christian institutions and relationships, but more than that, he also offers us a biblical initiative to lead us to the vision of being a community that reflects the diversity of God." Dave Gibbons, lead pastor, NewSong Church, and CVO, Xealot Inc.
"A tough-minded book and clear-sighted look at what it means for Christians to 'overcome evil with good.' If metaphor is metamorphosis, the metaphor of 'gracism' will change how we do church like it's changed how I do life." "With profound concepts and a compelling voice, Gracism creates an accessible tool for navigating culture clashes. Anderson merges a sophisticated understanding of cultural dynamics with real-time, everyday advice. He takes old-time concepts like 'favor' and gives them flesh and blood for a modern world." "Dr. David Anderson has given us both a great new word and a fresh way to approach our racial and cultural divisions in the church--and in life. I'm hoping a huge audience will read this book and discover the heart and passion of one of the racial reconciliation movement's most dynamic young leaders." "Anderson provides us with more than just a theoretical or political rationale for Christians to work toward racial reconciliation. He also provides us with practical methods by which this reconciliation may be achieved. Gracism needs to become a term common to Christians of all races. As we follow the advice in this important book we will find ourselves becoming inclusive of those who are different than us. As Anderson so ably demonstrates, it is when we develop the heart and skills necessary for such a conclusion that we will be able to truly adopt Christlike attitudes toward our racially different neighbors and colleagues." "What a beautiful--and needed!--book. Dave Anderson calls people who are saved by the grace of God to extend grace to their neighbors, whoever they are. I can't imagine anyone reading this book without being marked for life as an agent of gracism, which may be the best synonym for reconciliation ever invented." "David Anderson is a powerful voice of hope and a national leader in racial reconciliation. This book provides a new--and the only--'ism' that can heal the deep wounds of racism." In this book the author encourages people to be gracious to minorities and help them live a quality life. Anderson skillfully explains this biblical mandate to care for the marginalized. If you have been exposed to this idea of God desiring ethnic reconciliation and justice but have felt overwhelmed by the task or wondered why it should even be a priority, this book is for you. Anderson has practiced what he preaches, which is to honor diversity and be committed to the dignity of other races and cultures. His concept of gracism--as opposed to racism--involves not accepting special treatment at the expense of another and not just ministering to the "least of these," but standing alongside them. Anderson's framework is innovative, and the discussion questions included after each chapter will usefully guide the conversations that this provocative manifesto is sure to inspire. 11. How Can I Become a Gracist? This title is also available in accessible formats from ReadHowYouWant. David A. Anderson is the founder and senior pastor of Bridgeway Community Church, a multicultural congregation in Columbia, Maryland. He is the founder and president of the BridgeLeader Network, a diversity consulting firm, and an instructor of cultural diversity at the University of Phoenix's Maryland campuses. Dr. Anderson received his bachelor's and master's degrees from Moody Bible Institute and his Doctor of Philosophy in the sociological integration of religion and society at Oxford Graduate School. His books include Letters Across the Divide, Multicultural Ministry, and Gracism. 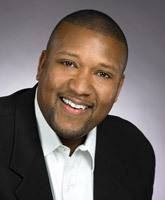 A sought-after conference speaker, lecturer, and consultant, he has had media exposure on over 2000 radio stations and television appearances, including Black Entertainment Television (BET), C-SPAN, TBN, PAX, and ABC promoting his message of diversity. He also hosts a live radio show, Afternoons with Dr. David Anderson: Your Bridge Building Voice in the Nation's Capital. Dr. Anderson and his wife, Amber, reside in Ellicott City, Maryland, with their three children.